Following a normal touchdown on landing, the nose un dercarriage sudenly gave way and the nose srike the fuselage producing sparks in the rollout until the ATR came to a safe stop. No passenger or crewmember was reported injured. The lower nose was substantially damaged. 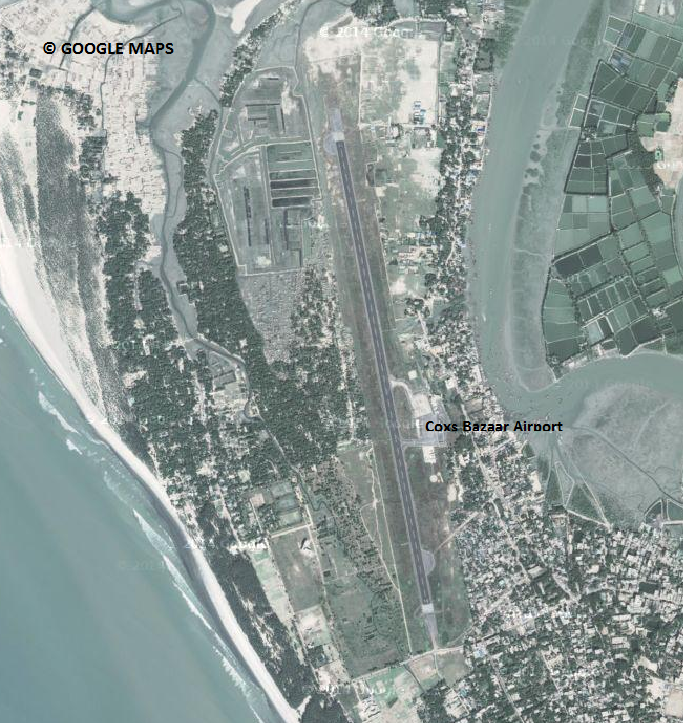 Coxs Bazaar Airport was forced to close completely since the only available runway was blocked. The nose was later up lifted via crane and the aircraft was pulled off the runway. At the time of the incident the weather consisted of rain with local thunderstorm activity but winds were reported normal.